I was asked to collaborate on a Supper Club, for the Kinoteka Polish Film Festival, at a supper club I went to as a guest. That was actually my first ever supper club experience, and now I am cooking at one. Being a home cook, rather than a chef, this is a little nerve-wracking for me. Mainly, I worry about transporting foods and practical issues such as pierogi not sticking together, or spilling the soup en route. However, I will be working with an experienced Supper Club organiser – the lovely Alissa Timoshkina of KinoVino – and that puts me at ease. She is one of the reasons that I said yes to this – her supper clubs are famous for being beautiful affairs. The other reason is that this is the Polish Film Festival, celebrating the work of Andrzej Wajda – this is going to be a really special evening, I can feel it in my bones. I had such a good time at the supper club I went to – long, candle lit tables, creased linen, subtle flowers and delicious food. A lot of it was fermented, which actually gives you a buzz as you eat it. Alissa is also interested in East-European cuisine – her supper club was Russian food, yet it was all the food that I ate in my childhood in Poland, except prepared in a different way. There is a lot of crossover between Russia and Poland and in terms of culture and cuisine. This mixing of nostalgia and modernity is also what I intend to do with my cooking. Of course, for people that have never eaten Polish food, this will be a completely new experience and I want it to be something they didn’t quite expect, to give a good representation without being clichéd. There will also be ferments – my shed has been turned into a fermentation workshop! 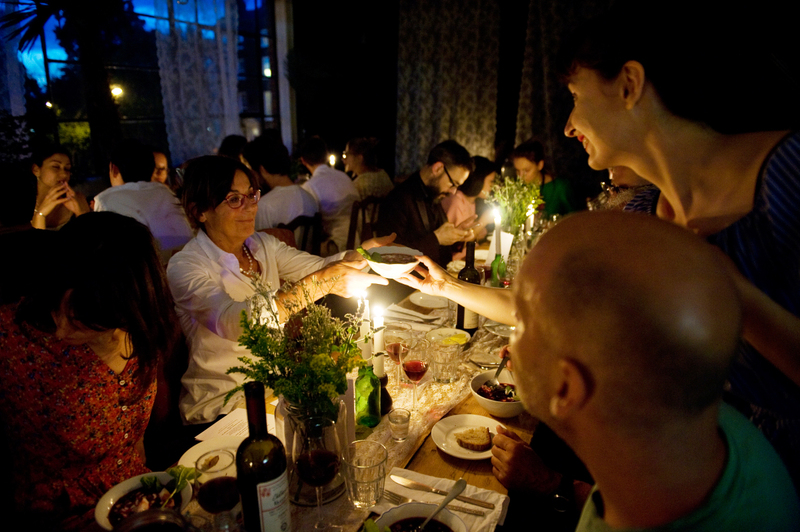 You meet so many lovely people at Supper Club – it’s a friendly, relaxed atmosphere and everyone there is a food lover. I feel like I have made some new friends, which is a lovely feeling in your late 30s, to meet people with the same interests as you, who you feel a connection with… I feel like I am changing and evolving all the time at the moment, and the people who I connect with are a reflection of this change. I hope that this night will do for others what my first supper club did for me – give a taste of Poland that is both homely and unexpected, introduce like-minded people and fill them with a sense of magic. 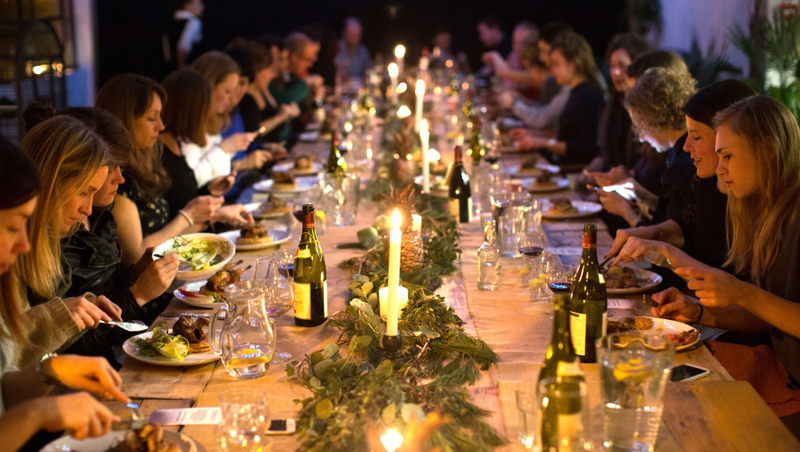 I’m talking about that ordinary magic that comes from sitting around a candle-lit table, eating tasty food and opening yourself up to new people, new experiences, new flavours. This is what you need in an anonymous city like London.